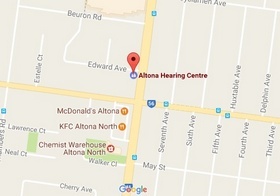 Our centres cater to all your hearing needs – and at competitive prices. by eliminating the middle man, our hearing aid prices are much lower than those of our competitors. We also allow for discounts on most major brand of hearing aids. We offer a FREE no-obligation consultation. If you would like to discuss all of your hearing options, your choice of hearing aids &amp; costs, we’ll gladly do so – and provide you with a FREE demonstration AND a 30-day return policy. The cost of hearing aids has actually decreased relatively over time, when compared to the rate of inflation. Today, hearing aids range from approximately $1,000 to $4,000 each, depending on the technology selected. Several factors contribute to the cost of hearing aids, including: research and development costs; customization of each hearing aid to fit the needs of the wearer; manufacturing costs; and time spent with the professional who selects, fits, programs, adjusts and services the instruments. Averaged over the lifetime of the instruments (4 to 7 years or more), the cost per day of a pair of highly featured, advanced digital hearing aids is about $2 – less than a large latte at your favorite coffee shop. And hearing aids are proven to not only help you hear better, but to actually improve the quality of life for people with hearing loss and their families. I’d say that is one worthy investment to make. Your hearing professional may offer payment plans. There are also funding options available from a variety of sources for people who qualify. If you are on a pension you are eligible for free hearing care. The Government will pay for a set of instruments for you but if you wish to “top up” the technology level to receive more automatic and sophisticated. The government has exempted hearing aids from GST and provide a tax rebate of 20% on annual medical expenses in excess of $1500. This could mean a rebate to you of $1,500 for hearing aids when you lodge a tax return. Click here to download your application for free hearing aids fitted under the Office of Hearing Services For Pensioners.